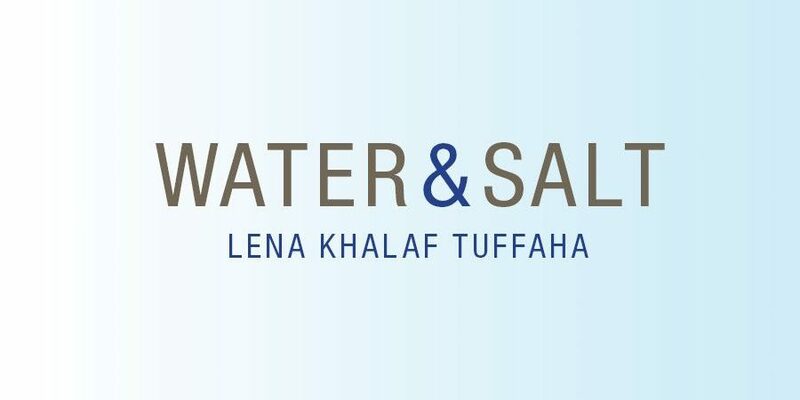 I read Water & Salt very quickly, so immersed was I in Lena Khalaf Tuffaha’s poems and the way she transported the reader from America to Palestine to Syria and Jordan and back again. Water & Salt moves between motherhood, immigration, boundaries, language, and more without ever feeling diffuse or scattered. Through her deft language and imagery, Lena creates a debut collection that invites the reader to question the meaning of home and belonging in a time of unending violence. In our interview, we spoke about her personal and political inspirations, art as activism, and poetry as a means of traveling beyond the familiar confines of our own communities. Crystal Hana Kim: Congratulations on publishing your first poetry book, Lena! I’d love to delve into these poems with you. In particular, I’m interested in structure, history, identity, and how all of that informs your writing. Let’s start at the beginning. When did you start writing poetry? What informs your poetry now and has that evolved throughout your writing career? Lena Khalaf Tuffaha: I’ve been writing poetry for about twelve years. In college, I still wrote in Arabic, or tried to, and then I began to write poems exclusively in English. My poems are where I go to work out the relationship between place, language, and belonging. For most of my childhood, I was as an “other,” always arriving into a place or community from somewhere else, always eventually leaving. The poems I write are also informed by a constant engagement with what would be referred to as “the past” in a history class, but what I know to be unfinished, contested, still unfolding. CHK: I saw this engagement with the “unfinished” and “still unfolding,” as you describe it. Your poems are political, personal, and often touch upon recent events in Palestine, Gaza, and Jordan, where your family are from. How do you feel about Water & Salt coming out in this current political climate both in America & abroad? LKT: So much of our political rhetoric in the US across all parties is just embarrassing. It is so unabashed in its ignorance of life beyond the confines of our own communities and experiences. There are many ways to travel, to know other human beings, and poetry is one possible way. And hopefully, readers who recognize some of these landscapes –whether physical or emotional—can find mirror and solace in these poems. CHK: Yes, I think one of literature’s greatest benefits to readers is this access to ‘literary traveling,’ this transporting to other communities and landscapes. In addition to poetry, I know that you are an essayist and translator as well. In your mind, do you see your essays, translations, and poetry occupying different purposes in your life? Or do you see them as working together toward a greater whole? LKT: I think they do work together, it’s akin to speaking different languages. The nuances and culture of the genre I choose will shape the work. Poems feel the least chosen or controlled to me. I rarely set out to write a poem in the way that I might an essay or a translation. I feel called to write a poem, there’s not much choice in the matter. Part of the journey of writing has been to get comfortable with that mystery, to listen closely and to follow obsessions. CHK: At Apogee, we continually discuss the importance of art as activism and the need to provide a safe space for all voices. Do you see Water & Salt as a work of resistance? LKT: I suppose in the sense that choosing to make art is an act of resistance. There’s a June Jordan quote that I keep in my journal: “Poetry is a political act because it involves telling the truth.” Like many women of color in the United States—I don’t feel like I have the luxury to “choose” resistance. Resistance, telling the truth of our lives, is a fact of survival in a society that does not see you, in which you are not yet an equal. These poems are my truths. CHK: What do you hope Water & Salt will accomplish? And along those lines, what do you think art can accomplish in terms of activism and resistance? LKT: I think any poet, any writer, hopes that their work has some staying power. I hope these poems stay with the reader after the book is closed and back on the shelf. I hope a line lingers, an image lodges in the heart. As for art and its role in resistance, I believe that art is vital to resistance, to sustaining us long-term. My poem “Running Orders” was written in the middle of the 2014 war on Gaza, in a moment of utter despair. It has been shared all over the world, and read at anti-war demonstrations from Tokyo to Toronto and set to music, included in an art-installations, and translated into many languages. It is doing its own work in the world, beyond my notebook and my writing desk, reaching people I will never meet, fueling them. 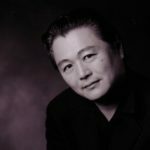 In addition to being utterly humbled by the journey of this poem, I think it is doing what art can do best: connecting us, keeping us human. CHK: Speaking of “Running Orders” and its widespread impact, let’s delve into your poems now! There are so many that I loved in this book, but I’d like to narrow in on a few. I’ll start with “Upon Arrival,” which I thought was so striking. Tell me about this poem and the decision to open your book with this poem. LKT: It came from the preparation to travel to Palestine, and the series of questions Palestinians (of any citizenship) are often asked by Israeli border police in order to visit our home. The questions are a form of violence, an exercise of power. The reason for my visit. The poem began from this place of troubling the question, the notions of power and ownership inherent in it, and the emotional landscape you must travel to make it home, even in the small compromised version of a “visit” for which an occupier grants us permission. This is where the poem began. CHK: I don’t know if you intended this, but the repeated line, “You will need to state a reason for your visit” in “Upon Arrival” seemed to address the reader as well. I felt myself sit up straighter, to consider my reason for reading poetry, my reasons for choosing to read these particular poems in this particular time. LKT: I love that. We arrive at these crossroads, these checkpoints, and we have to reckon with the choices we are given, with what we will need to resist, what we will need to preserve in ourselves in order to proceed. CHK: “Time Travel” touches on crossing boundaries, translation, and “born-again” immigrants. This poem begins with “We travel back so that you/ will know who we were and who/ you might have been if you/ had lived here too.” Can you tell us more about your background? Where you and your family from, and how that does or does not affect your writing? LKT: I was born in Seattle. My heritage is Syrian, Jordanian, and Palestinian, so I have roots in Damascus, Amman, and Jerusalem. I also grew up in the Arab world, immersed in the language and cultures of the region, and experiencing many of the “news events” of those years as a local. I’ve lived in Seattle now for twenty-four years. I know intimately what it means to be of both worlds, and one aspect of that knowledge is how much beauty both worlds have to offer. I know the desire to share the air and the earth of the first home, the first language, with children born elsewhere. I also know that it can simultaneously ground you and unmoor you as a child trying to take stock of who you are in the world. CHK: As a daughter of immigrants, those lines spoke to me. I am always working out who I am and who my parents were before arriving here in America. Let’s talk about this first language a bit. You define tu’burni as “a common Syrian term of endearment that translates as ‘bury me’ and means ‘I love you so much I hope I’m the one that dies first.’” I think this is such an interesting word, and it leads me to questions about language—particularly the words we have in one language that cannot be expressed or clearly defined in another. There are Korean words that also don’t have a neat English counterpart, and having both languages in my head creates interesting gaps and textures. Do you think writing and explaining words like tu’burni can allow an unfamiliar reader a path of greater empathy? Or do you write poems with Arabic transliterated words specifically for an Arabic-familiar audience? LKT: Each poem teaches me what it wants me to do. I wrote “Tu’burni” after the first chemical gas attack in Syria in 2013. It’s horrific to say “first.” The phrase is used in such a loving context, and so blithely in normal circumstances, and it was thrown into such high relief for me watching video footage of mothers walking between the bodies of children to find their own and embrace them for the last time. I hadn’t thought of a specific audience for the poem (Arabic or non-Arabic speaking), but I was responding to the demands of the poem itself, and the bitterness of endearment becoming an unanswered prayer is what compelled me. And this leads me to another politically charged, still relevant poem in your collection—Mountains, Stone. I loved this poem upon first read, and then when I read the Notes section and learned that the names given in the poem are of Egyptian, Palestinian, and Syrian innocents killed during a peaceful protest, in jail, by missiles… It added another layer of meaning. This poem touches on fear, parenthood, naming, the passing on of language to our children. Can you tell me more about Mountains, Stone? LKT: Thank you. This one continues to be really difficult for me to read out loud and maintain my composure. In my family, the meaning and the music of a name are equally valued. And because I am bilingual, and hyper-aware of language, when I hear an Arabic name, I am always simultaneously hearing its meaning alongside the sound. The name “Raneem,” a girl’s name in Arabic, is from the Qur’an, and it means “the laughter of angels” and the name “Sundus” is one of the names for Paradise. One of the extensions of grief around these atrocities is that the victims remain unnamed casualties. I began writing with the intent of just saying the names into the world, but I was overwhelmed by their meanings, the possible stories they told. Names are also protectors, as when children are named after prophets and saints. Each of these human systems of hope built on beauty, faith, tradition, they all collapsed. CHK: Oh, this explanation makes me want to reread Mountains, Stone again. Thank you for sharing these meanings with us. I think the most difficult passages, pieces, poems we write often have the greatest impact on our readers; and I expect Mountains, Stone will touch many. Now as we near the end, I’d love to talk more about this book’s triptych structure. Why did you break up your poetry collection into these three parts? Why choose Water & Salt as your title? LKT: I love the visual language of the triptych, thank you for that. Maybe in the way that a triptych invites us to look at a work of art as a whole but also to acknowledge the relationship between each of the parts, and the worlds each one contains. The poem “Water and Salt” ends on a defiant note, and for me, that is the quintessential Palestinian stance. Yes, there is great suffering, but there is love and patience and perseverance, generations of it, teaching us how to go on. Water & Salt felt expansive enough to be the title, felt like an invitation. I hope it is. CHK: I love this idea of a title that is both defiance and invitation. Before we go, I’d like to speak about the last part of your triptych. Part Three, titled Amulets for the Journey, focuses more on motherhood and the immigrant & emigrant experience. What was your goal for this third part and what do you hope readers will gain by the end of the book? LKT: More of the poems in this section are written from experiences I had living with my husband and daughters in Amman, Jordan, and traveling around the region. We lived there between the summers of 2008 and 2011. Sharing the places of my childhood with my own kids felt like a very particular kind of nurturing, a blessing I am so grateful I had. Concurrently, the Arab Spring revolutions began in December 2010 in Tunisia and by April 2011, the region was in the full throes of change. It was an emotionally-jam-packed time that generated its own set of poems. It is a privilege to be read. I hope readers are moved by these poems. May hearts open. CHK: Thank you so much for speaking with me about Water & Salt today, Lena. I’m confident your readers will gain new understandings, new pathways to empathy, and more from your words. Thank you for writing this profound collection and for sharing it with the world. 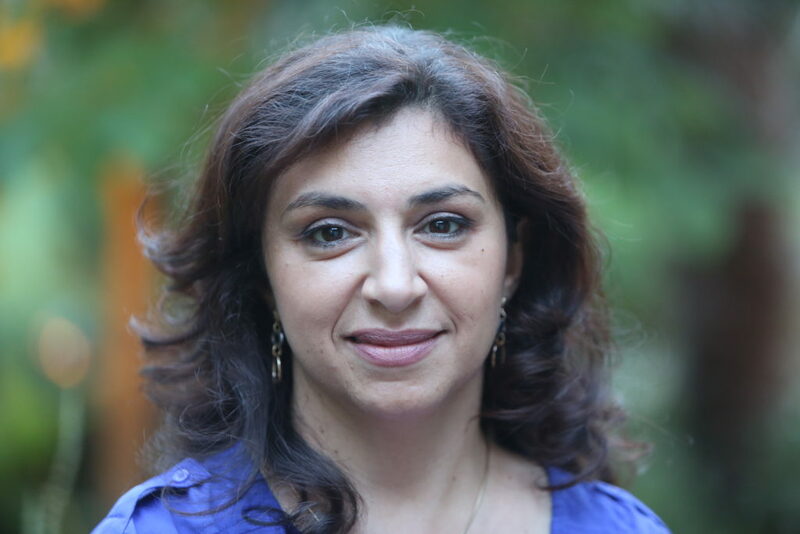 Lena Khalaf Tuffaha is an American writer of Palestinian, Syrian, and Jordanian heritage. She writes poetry, essays, and literary translations. Her essays have been published in Kenyon Review Online, Al-Ahram Weekly, and the Seattle Times. Her first book of poems, Water and Salt, is published by Red Hen Press. She is the winner of the 2016 Two Sylvias Prize for her chapbook, Arab in Newsland. 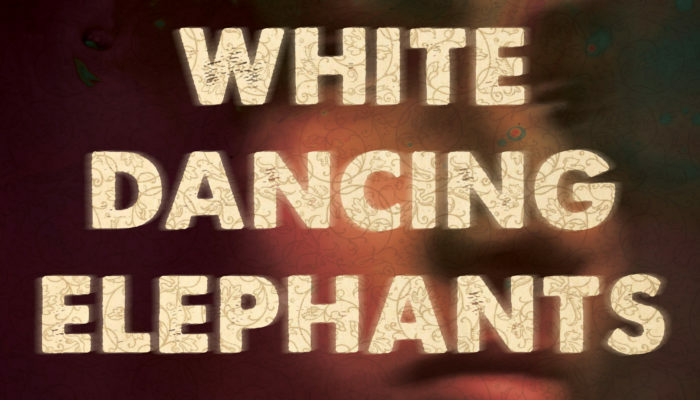 Her poems have been nominated for the Pushcart Prize and Best of the Net. 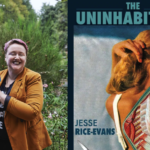 Most recently, her poems have been published or are forthcoming in journals including Barrow Street, Drunken Boat, Diode, Blackbird, Black Warrior Review, and Alaska Quarterly Review. She is an alum of Hedgebrook and an MFA candidate in poetry at the Rainier Writing Workshop of Pacific Lutheran University. She lives in Redmond, Washington, with her family.